I’m still struggling, but on Tuesday I suited up for my first ride of November. I actually thought, well, I should make my body hurt as much as my heart and brain. Maybe that will be distracting. So I took the stirrups off my saddle. Confession time: I’m kind of loving it. Yeah it’s not this green anymore. Mostly putting this in because I need something to break up the text and we both look happy and focused. I longed him first, to warm up his back. I pushed him through his fussiness, let him get a few good bucks in, and once he was moving freely and easily I brought him back in and jumped on. I didn’t quite plug in to my seat in the trot, and as a result he never really came through his back. I get that. I was ok with it – I was not exactly helping him. But it felt good to just focus, fiercely, on something. I didn’t check my phone. I didn’t swallow back bile thinking again and again about people I love(d) who have embraced hatred. I just kept pushing myself to keep trotting, to follow the motion. Wednesday, I was sore. I worked a 13 hour day, so no barn. Thursday, I went back out and did the same thing: longed, got on, pushed myself through. Both rides mapped out about the same, 10-15 minutes longeing, 25-35 minutes riding, 10 minutes cooldown. 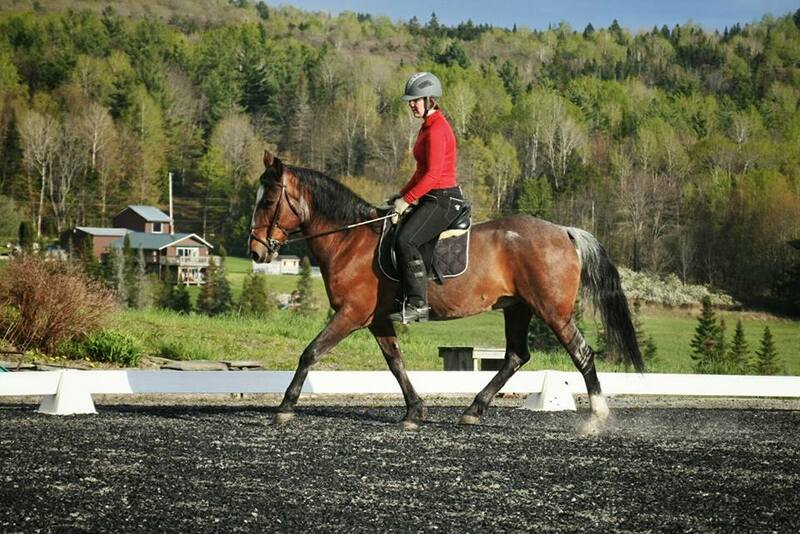 Both times I was glad I had clipped him – he was warm but cooled out quickly. Thursday, things went better. I felt more plugged in, had found a better way to engage my core and soften my shoulders to follow. I asked Emilie and the barn manager if I was leaning too far back; consensus seemed to be that I was sitting too far back in the saddle, but not necessarily leaning. I spent a few minutes thinking that through as I listened to my body’s feedback, and I found that I wasn’t engaging my core quite enough and was sitting just a hair behind the motion. I settled my seatbones in but kept my upper body soft, and worked that through for a bit. 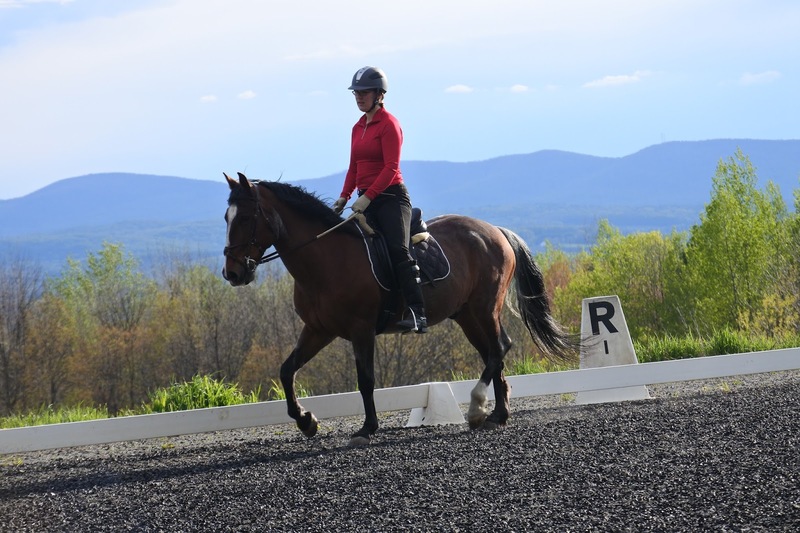 I’m sure it’s no coincidence that toward the end of that trot work – which I interspersed with short canters whenever I was getting too tired – I got a couple steps at a time of lovely soft throughness. I’m sure it’s also no coincidence that last night was the first in 10 days I haven’t woken up with an anxiety attack from a nightmare. I'm so glad you are able to find a good outlet for your anxiety. I'm definitely struggling not being able to ride.